darkSpyro - Spyro and Skylanders Forum - Spyro: A Hero's Tail - Who Else Thought This Game Was Very Underrated? darkSpyro - Spyro and Skylanders Forum > Spyro: A Hero's Tail > Who Else Thought This Game Was Very Underrated? I personally thought this game was so unique from the others, in a such a good way, and I never hear this game as much as I feel I should. Anyone else feel this way? It's my 4th favorite Spyro game, which means it is REALLY good, you could maybe call it underrated, but I find ALOT of people actually like this game alot so it's about 50/50 in opinions. Also, people that refuse to please this game because it wasn't made my 'Insomniac' are retarded . I didn't really like this game when I first played it, it just seemed boring and the data glitch caused me to give up on it for at least 3 years. Then last year I finally replayed Hero's Tail and actually grew to really enjoy the game. It's not my favorite game in the series, but it is fun and I agree that gets too much hate. Blink Levels were HANDS DOWN my least favorite part of the game. Why not Sheila or Bentley levels? Also the fact its one of my first games I've ever played. It's certainly a bit of a system shock if you grew up with the classics due to the way it has fun with the classic elements (ALL classic elements, from gameplay to characterisation), but it does have a nice, humorous charm to it. Yeah. That's the same reason why people don't like Crash: TwinSanity when it's a good game. ^ This so much. Crash Twinsanity is my favorite Crash game, even when I grew up playing the originals. I didn't like most of the minigames though. Especially Blink's and Sparx's. I do get feelings that this game is quite under-rated, from my experience, it seems to get ignored completely, or you get people who complain about little subtle changes that are made to the game. I'm beginning to think that this is my favourite Spyro game ever, with Gateway to Glimmer in second. Some of the challenges can be quite fun, and some others I don't like too much, but I think that's just the "norm" with Spyro games to me. I still think the most toughest challenge is the yeti race in Spyro 3, in the Super Bonus Round. I really like how they re-designed all the characters that have returned from the classic universe, apart from Sparx, I think he could have been made better, he looks a bit derpy. And is it me? Or do the levels seem longer? It feels like there isn't as many of them, but they feel longer. I also think that Blink's levels are fairly good, he feels a lot more easier to control than the characters in Spyro 3. Now for the music, I still believe that nothing can be Copeland's masterpiece, the soundtrack is alright in A Hero's Tail, but I think it's easily forgettable. The graphics, and the colours of the levels are easy on the eye, and overall atmospheres in the levels feel sort of real. The boss levels are very simple to beat, I suppose they're not as simple as Spyro the Dragon, because in each of the three sequences of these battles, it seems that you've got to work out a different way to find their weakness. They're alright I suppose, at least when you die, you have a checkpoint to continue the battle from where you left off, as long as you got a certain section off their health bar, which in a way is a good thing considering that these battles can be tedious, but also makes the boss a whole lot easier. You also don't have to worry about a life counter system, since they've been stripped from the game completely which in a way, makes it easier to play. I kind of wished that they kept the life system. I don't know if I prefer the gems to be a collectible or be currency, it doesn't really bother me a great deal. And Moneybags only appears in shops, or as a hologram in sections of the levels, which I think is better than just having him randomly appear at certain parts of the level. It just brings a more "modern" sense of gaming to it. Spyro himself; well, I reckon you get to see his personality even more so, of how he really is, and how he really should be, whether you like it or not, that's Spyro. I just feel that they bring out all of his parts of his personality into this game. And now I think that his design is the best, and his animations. the thing i like the least about this game is the blink minigames since they are too long, after all this game isnt called blink a hero's tail. Its not as bad as it could of been, but i still hate it. The only reason i hated it was the stupid ideas the developers had to completely redo the characters and music. They ditched Tom Kenny to replace him with a horrible actor (Jess Harnell), and stewart copeland to replace his music with generic music. I bet you would rather play it than the Legend of Spyro wouldn't you? Yes, but thats not really the point. I don't understand how you can hate it, just because of minor changes. It seems like you're reacting to them like it is some kind of big deal? I always like to go for the gameplay over anything else, and that's what determines whether a game is decent enough to play for me, I think that's partly why I am so picky when it comes to liking video games. So, you're going to hate on a game that has changed the characters slightly, the music has changed, and the voice over had changed, not because of the gameplay though, right? I like it. The graphics where very colorful and pretty. Mainly the flowers and water. I liked the more serious and difficult boss battles. Playing as hunter was pretty cool, but the Sparx ones were really annoying. I always thought Hero's Tail was super overlooked. Maybe because of the difference in gameplay? I mean gems are basically meaningless ( other than to buy stuff from resident-cultural-characterbags ) and I guess the design of the game is a little different to the very basic and natural look of the originals. But I really like it! My only dislikes are the cheap deaths and the fact that mini-games (e.g. Sgt Byrd, Blink, Cannon games ) have to be done twice each for the eggs and light gems. It's kinda ... not fun at all. I didn't like it the first time I played it, but then I backed up and got some perspective and it's my favorite Spyro game next to the original Insomniac three. :) It's silly, it's nicely designed and scored, it's full of innuendo that is hilarious if you're reading between the lines... Really, it's just overall enjoyable and I'd love to play it again sometime. It's a weird game because it feels easy. I really liked the semi-open world feeling of it, and I loved some of the new characters, and the mini games (even though most of them were p easy) were fun too! And some of the levels and music are really nice and waaaaay underrated. I mean, listen to Cloudy Domain!! I liked how each OST was unique to it's level, while also having a similar/connecting tune to all of the other levels! So yeah, this game was way underrated. I see where the criticism comes from and I understand those who don't like it (also tbh Moneybags' change in design was odd and vaguely racist) but I think it deserves more positivity and recognition too!! I have conflicted feelings about it. On one hand, I like that it tried to modernise the series but didn't toss out what was charming. I like the art direction, graphics and music, the story setup is neat and the semi-open world style is cool. Searching for collectables is fun and the level design is good. Unfortunately, some of the environments look too similar, which can make the game a bit confusing and even though I like the plot and characters, I don't like the dialogue. In fact, I find most of the dialogue annoying, though I can see what they were going for. I also don't enjoy the minigames. They're really generic and don't have the level of personality Insomniac's did. It's not the worst thing to come out of this series, by a longshot, but I don't think it's as great as some other people do. It seems a fringe of this fandom loves it now, and I still see it mentioned occasionally, so I wouldn't call it underrated. I think it's above average, but nothing special, either. I've always loved this game a lot, especially with how it brought back the idea of having multiple playable characters. It was a blast to play and I was always sad that it basically went completely under the radar for most people. I guess most people were so turned off by the loss of Insomniac and the poor quality of Enter the Dragonfly that they never even gave A Hero's Tail a chance. Cal me blasphemous but I think I might have liked it even more than the Classic Trilogy if it was the first Spyro game I even played. But that trilogy was my childhood... Can't top it. It was such a blast after the disappointment that Enter the Dragonfly was (so much wanted potential...). 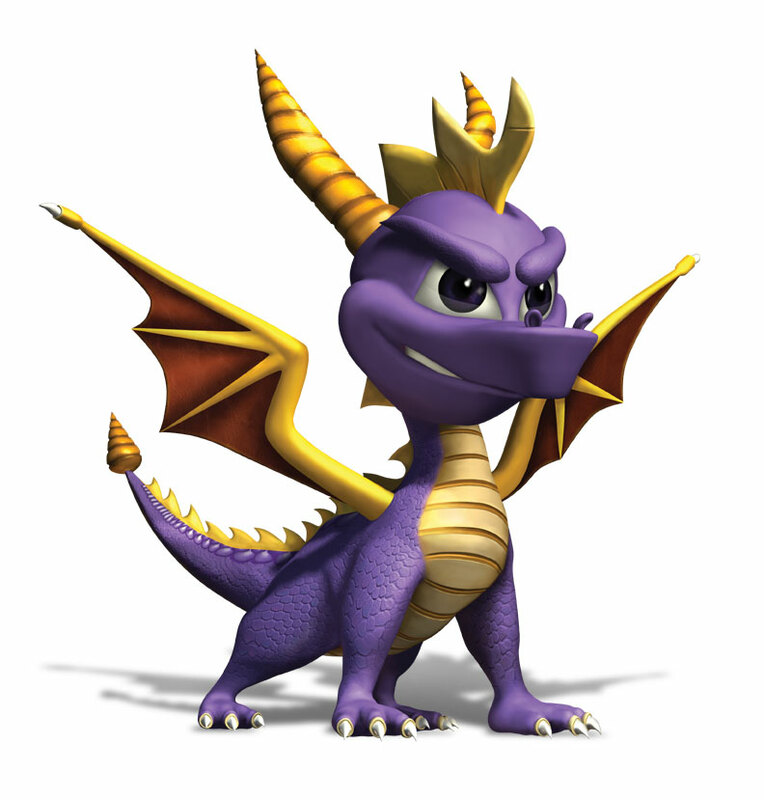 I think every developer who wants to bring back an old series should take inspiration from this game: it was new and fresh but managed to keep what made Spyro so unique and yet improved it in many ways. I guess it's my 4th favorite game so far. Heh, I'm going to get shot. SPYRO: A HERO'S TAIL IS MY FAVOURITE SPYRO GAME, NO EXCEPTIONS! "Deep in the bowels of an old Power Plant a sinister plot is hatching..."
It's not an upopular opinion, probably. It's one thing saying ETD or SL but this game is decent even to those who don't like it. Can't believe I didn't post here before, though. I didn't even know this game was underrated, because among my friends who liked the series, this game was godly and nothing could be better. I like the gameplay and it's really a lot of fun, but after getting older the "humor" definately got to my nerves because of how mean-spritited some exchanges get. I'm playing through it again and nah. At least not in the Spyro fandom, where it gets plenty of love (compared to most other games, at least). It's a good game and I'd love to see another Spyro game in this style, but there's nothing groundbreaking about it, either. And looking back at it, I still love it. Although its been years since I've played the game.